You know your carpet is dirty, because you can see stains. Some days you may even smell the pet or party memories your carpet is holding on to. You also know, though, that you don’t want to introduce potential problems with improperly cleaned carpet. What’s the Best Carpet-Cleaning Method, Then? Most carpet manufacturers recommend a process called “Hot Water Extraction.” This method uses high-velocity hot water to clean, instead of dangerous chemicals. Natural water, heated to a dirt-busting but safe temperature, is pulled through hoses to quickly rinse your carpet. 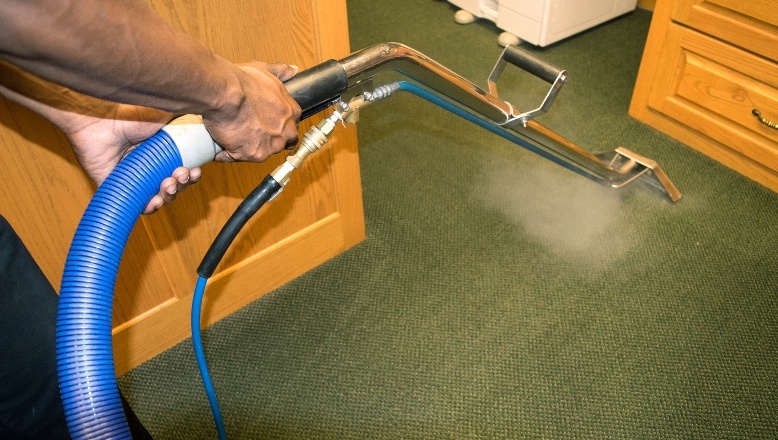 This method of carpet cleaning allows you to breathe comfortably both during and after treatment. If your carpet is properly cleaned, the correct amount of water is used, and your carpet will dry in less than four hours. A good carpet cleaner will take the time and care to ensure that every area of your carpet is carefully and correctly rinsed. One of the most important ways you can “breathe easy” with your carpet cleaning is choosing the right people for the job. True professionals will explain the cleaning process, put you at ease with their politeness and attention to detail, and truly want you to be happy with the outcome. If you have any concerns or questions, you should feel comfortable asking, and expect easy-to-understand answers. Check others’ experiences with the cleaning company to see if they’re happy. If you are looking for someone to clean your carpets, we’d be honored for you to contact us. We take great pride in the work we do for our customers, and are sure to do the job right.